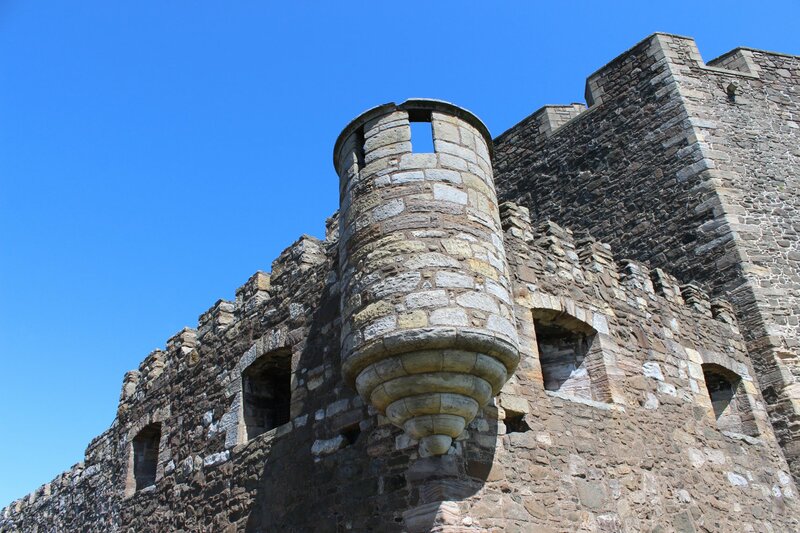 Our afternoon took us out to Blackness Castle and the contrast with Linlithgow Palace couldn’t have been greater. On the one hand you have a palace that was quite literally fit for a king and on the other you have an impregnable garrison fortress and state prison which was intended as a hefty deterrent to would be invaders. 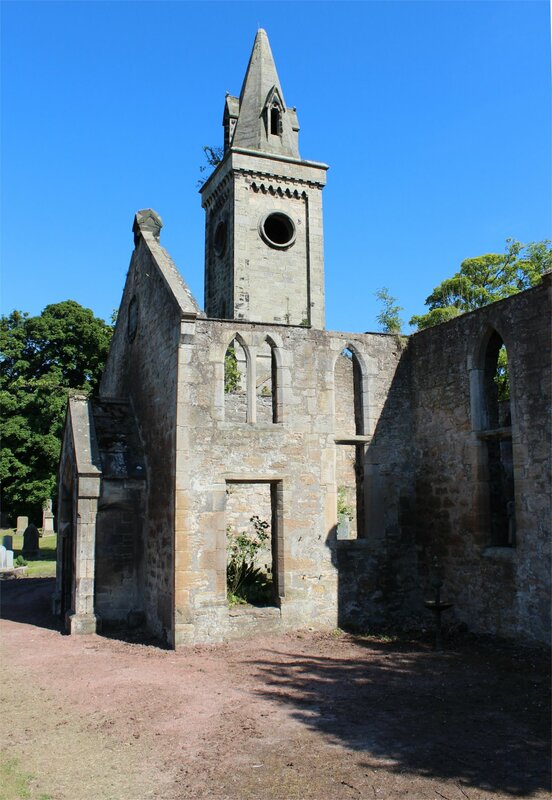 The walk was delightful, taking in the ruined church at Carriden, the neighbouring woods and the beautiful scenery along the shore of the Firth of Forth. At times the path was a little overgrown, forcing us down onto the pebbles of the foreshore, but never arduous. 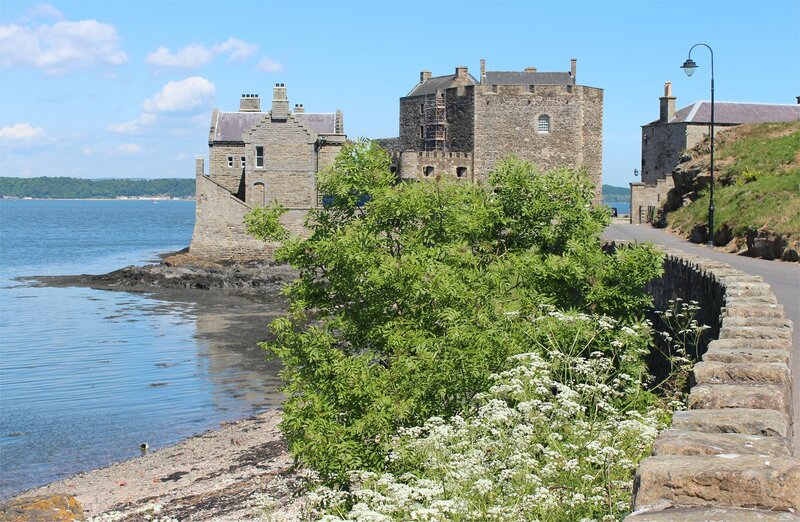 Unsurprisingly, the hot weather had brought many families to the beach at Blackness and to the green lawns that surround Blackness Castle – I am sure that it is rarely quite as busy as this! 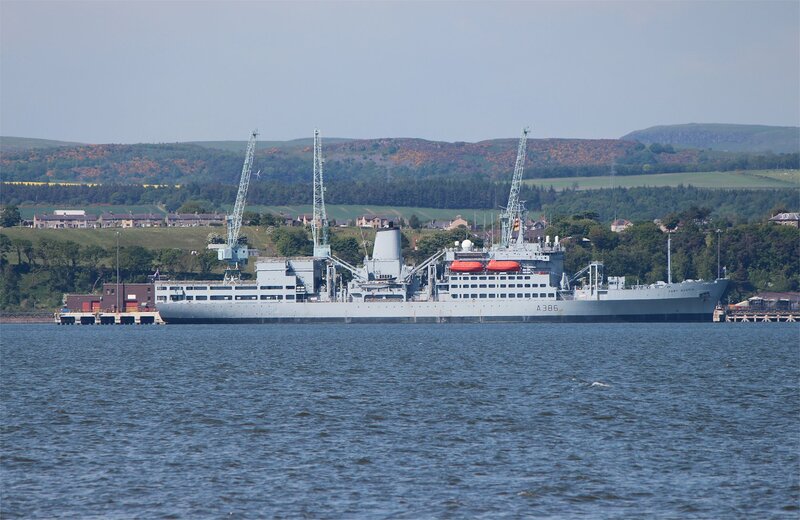 One unexpected sight along the way was the Royal Fleet Auxiliary ship Fort Austin (A386) which could be seen berthed on the opposite shore at Crombie Jetty. Aside from this, a few freighters and a fair number of small sailing vessels could be seen on the water. 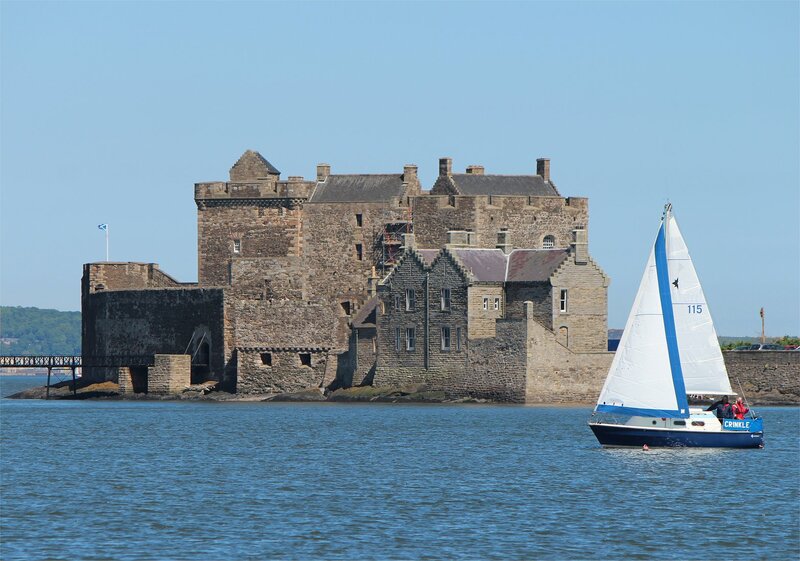 Blackness castle has a distinctive shape, which earned it the name of ‘the ship that never sailed’. 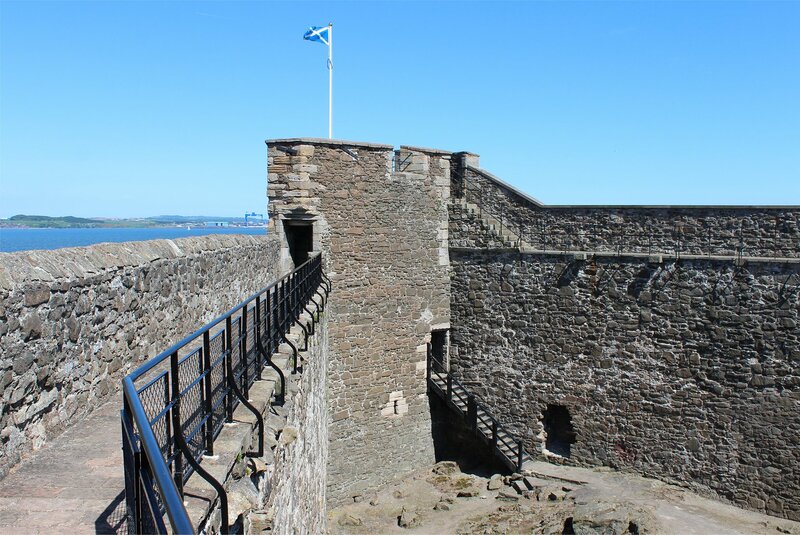 The castle is located on a rocky promontory that juts into the Firth of Forth (this is never more obvious than when you cross the rough courtyard floor hewn from the rock!). 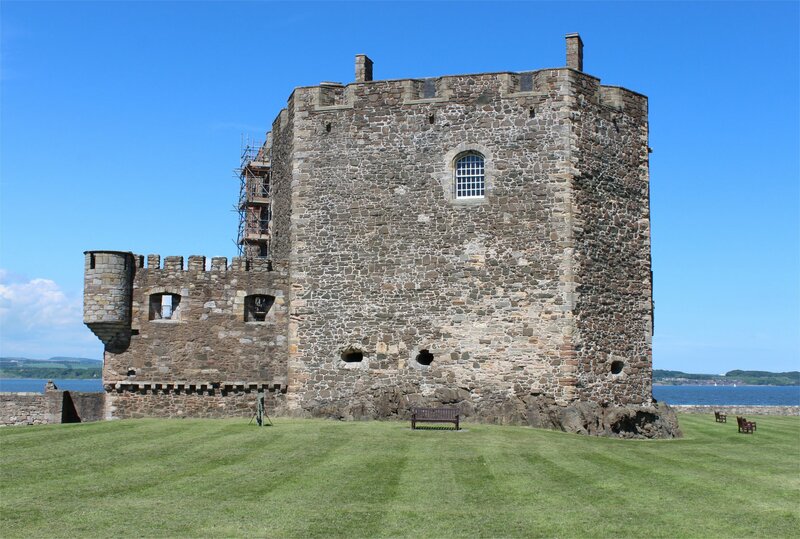 The first mention of a castle at Blackness comes from 1449, though the castle we see today owes most to the major works commissioned by James V which were carried out between 1537 and 1543. 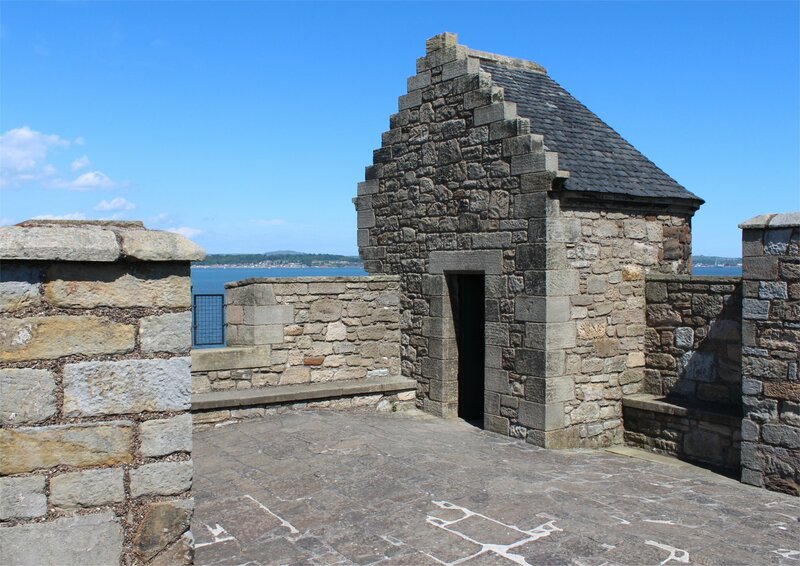 It is hard to imagine, but by the late nineteenth century the entire courtyard had been covered over by a concrete and iron roof (subsequently removed in the 1920s) to serve the castle in its new role as an ammunition depot. 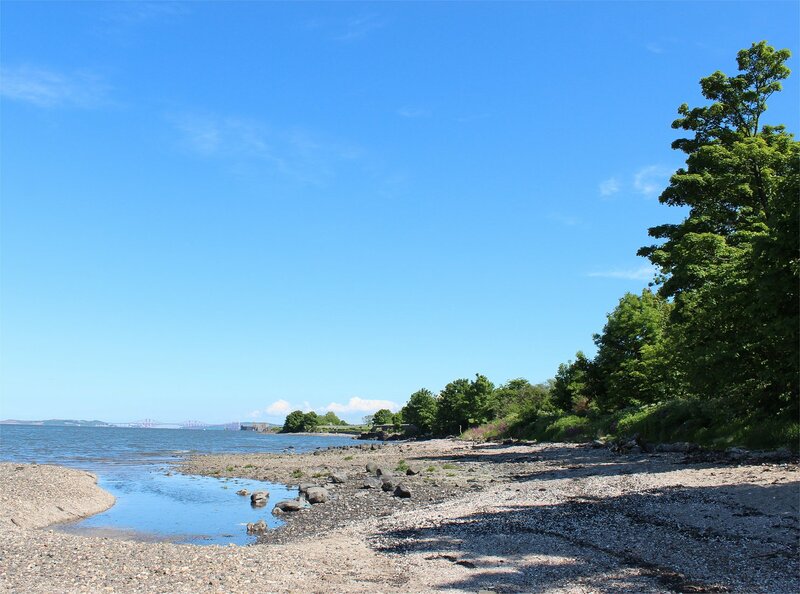 A pier out into the Forth was also added to facilitate the movement of munitions, including the supply of the fleet before the Battle of Jutland in 1916. The castle must surely have one of the longest and richest histories of active participation in war – its peace today is much deserved! A guidebook is certainly a must here to get any real sense of the castle and its many layers of history. 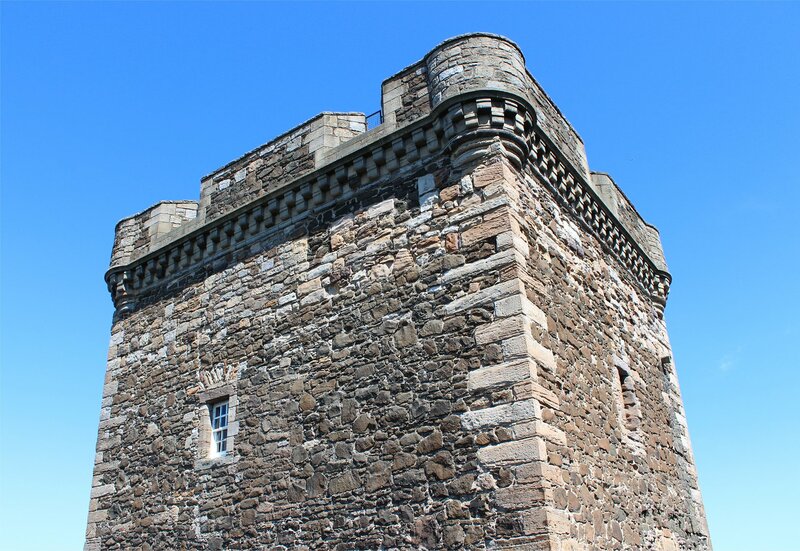 It is definetly well worth a visit – although it pays to plan carefully to ensure that you are not left waiting for too many hours for the infrequent buses back to Linlithgow!